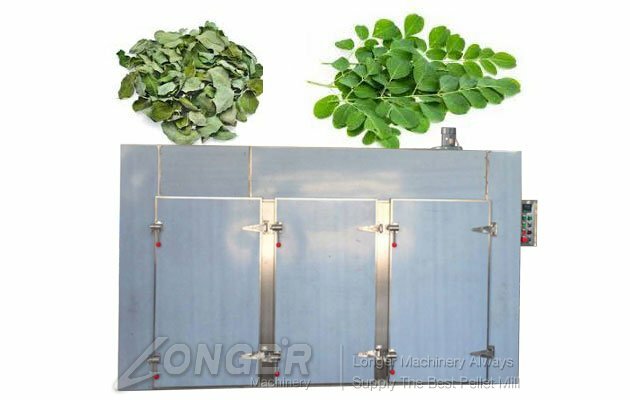 This commercial moringa leaf drying machine is used to dry a variety of herbal medicines, agricultural and sideline products, which is easy to use, and has high quality. 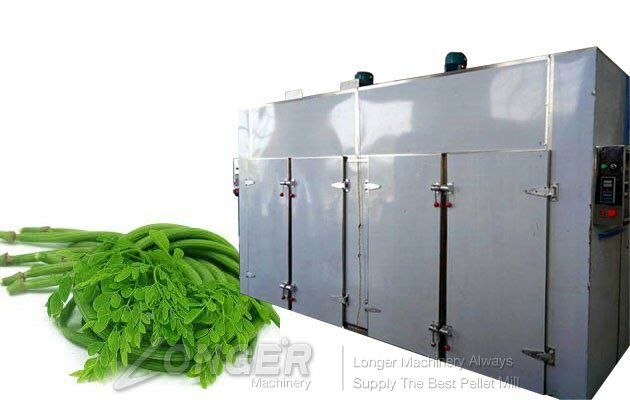 The moringa leaf drying machine can effectively reduce the moisture content of the moringa leaves and achieve the trademark drying standard for long-term preservation. 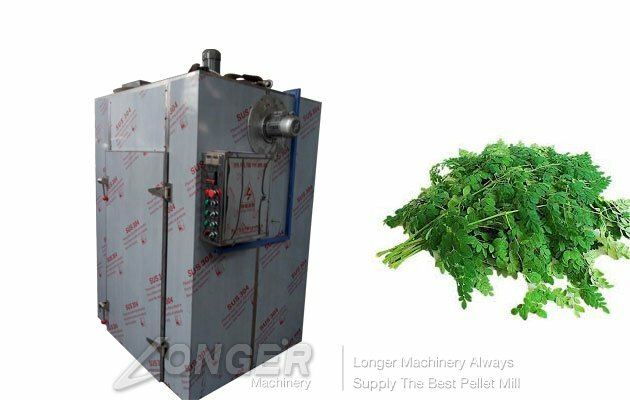 The moringa leaf drying machine is suitable for heating, solidification, drying and dehydration of materials and products in pharmaceutical, chemical, food, agricultural and sideline products, aquatic products, light industry, heavy industry and other industries. Such as raw materials, traditional Chinese medicine, Chinese medicine decoction pieces, extracts, powders, granules, granules, water pills, packaging bottles, pigment dyes, dehydrated vegetables, dried fruits, sausages, plastic resins, electrical components, baking varnish and so on. 1.The drying process does not require special personnel to take care of the pipe. After the material is baked or the drying temperature is reached, the unit will automatically stop. 2.The drying machine is very energy efficient, only need to consume a small amount of electrical energy, you can absorb a lot of heat in the air, and the unit will produce cold air during the drying process, the cold air directly into the work shop can increase the room temperature. 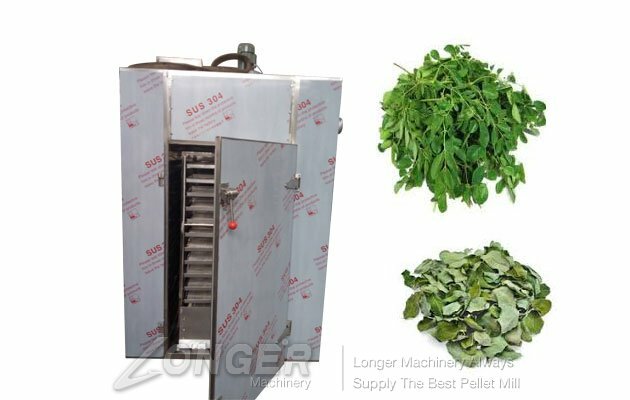 3.The moringa leaf drying machine has a long service life and low maintenance costs. The machine is developed on the basis of the technology of the traditional dryer, the performance is stable, reliable, long service life; safe and reliable operation, fully automatic manual operation, intelligent control. 4.The machine has a wide range of applications and is not affected by the weather: it can be widely used for drying various leaves, herbs and other materials. 5.The drying machine runs safely and reliably. The operation of the whole system is not a flammable, explosive, poisonous, short circuit and other dangers that may exist in the conventional dryer, and is an absolutely safe and reliable semi-closed drying system. 1.We will introduce the product to the customer in detail and carefully answer the questions raised by the customer. 2.We also develop options based on the needs and special requirements of users in different industries and send preferential quotations to each customer. 4.We always maintain the stock level of spare parts, which means we can send replacement parts in time. If you have demand for the machine,then you can contact me!